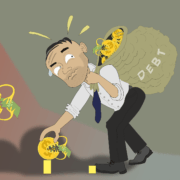 Often after helping individuals manage their debts, we provide guidance on improving credit. In today’s world your credit score affects every day of your life. A good credit score can mean getting approved for credit that you need to buy a house or car. A poor score can make it difficult to find an apartment rental or needing a large deposit to turn on the utilities. Improving your credit can help everyone, even individuals with already good credit. 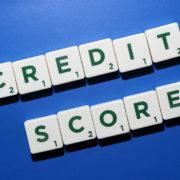 Your credit score is a score created by the credit bureaus using information in your credit report. Credit scores range between 300 to 850. The score is designed to give creditors the likelihood that you will become delinquent on your debts. Your score will also vary slightly between credit bureaus. Regardless of the reason you need to improve your credit, including old collection accounts, limited credit history, trying to buy a house, etc., the tips below can help you get your credit on track. For most credit cards and loans, you will be offered the best rates when your credit is above 750; you will be qualified for most types of credit if your score is at least 700. To get a good idea about your starting point, you need to know what your credit looks like. Tools, like Credit Karma and Credit Sesame, give you a good basis about your credit score and what you can do to improve it. But, these are not real credit agencies. There are actually three credit bureaus: Transunion, Equifax, and Experian. Federal law allows you to get a free copy of your credit report every 12 months from each credit reporting company. You should regularly pull your credit report to ensure that everything is reporting accurately. Removing inaccuracies, like late payments, can quickly help you improve your credit. Additionally, reviewing your credit regularly can help you prevent issues with identity theft. Many credit cards now also offer free credit scores, which can help you keep an eye on your credit in between pulling full reports. When trying to improve your credit, it is important to understand the factors that make up your credit score. There are five elements that the credit bureaus weigh when determine your credit score: Payment History, Amounts Owed, Length of Credit History, Types of Credit, and New Credit. As you might expect, the repayment of past debt is a major factor in the calculation of credit scores. It helps determine future long-term payment behavior. Both revolving credit (i.e. credit cards) and installment loans (i.e. mortgage) are included in payment history calculations. This factor is why one of the best ways to improve or maintain a good score is to make consistent, on-time payments. Creditors look at the total amount you currently owe, and the percentage of the amount owed compared to your available credit. When a high percentage of a person’s available credit is been used, this can indicate that a person is overextended, and is more likely to make late or missed payments. That is why it’s a good idea to keep low credit card balances and not overextend your credit utilization ratio. Additionally, this factor is why it is important to keep old credit cards open, even when not being used. The credit bureaus look at the length of time all credit accounts have been open and the time since the newest account was opened. Those with a longer credit history have more data on which to base their payment history. This factor is why it is easier for old individuals to have a high credit score than younger individuals. The credit bureaus want to see a combination of different types of debt, such as credit cards, installment loans (like student loans or car loans), open accounts (like lines of credit), and mortgage loans. This is important to show you can mange different types of debt. Creditors do not like seeing many recently opened accounts; opening several new credit accounts over a short period (which can be defined as anywhere from 6 months to 2 years) can signify greater risk. Creditors worry it is evidence of you facing financial difficulty. This is why it is recommended no new credit accounts should be opened one year before a major purchase, like a car or house. Your payment history makes up 35% of your credit score. One of the easiest ways to improve your score is to always make sure you pay bills on time. Missed payments stay in your credit for 8 years. The more time that passes after a missed payment, the less of an impact it will have on your credit. One missed payment, won’t ruin your credit, but if it was within the last year, the impact will be obvious. Additionally, monthly bills like your electricity, cable and rent usually are not reported on your credit report every month. But, if you do miss a payment or the account goes into collection, the negative mark will usually appear on your credit. One of the best tools for improving credit is a secured credit card. A secured card requires a cash collateral deposit that becomes the credit line for that account. For example, if you put $500.00 in the account, the bank will give you a credit card with a limit of $500.00. This allows for you to get a credit card with little risk to the bank; if you miss a payment on the secured credit card, the bank will take the deposit and close your account. Often a bank will reward you for good payment history and add to your credit line without requesting additional deposits or offer you a new credit card. Be sure to check the fine print on these cards; some banks may charge fees. One important rule to remember about using a secured credit card (or really any credit card) is keeping your balance low. For credit building purposes, you should never have a balance over 30% of your total credit limit. Even if you are paying your balance off in full every month, having too high of a balance signals to creditors you could be over extending yourself. If you are in need of a vehicle, consider getting a car loan. Or if you do not need a car, look into a line of credit. If it’s a car loan, buy a vehicle that is affordable and that you can pay off successfully. Additionally, you will see a drastic increase in your credit if you can make a large additional payment early on in the loan. A large additional payment will help bring down your credit usage and help improve your credit utilization. You may receive a higher interest rate to start. Shop around for the best rate; usually you will we get the best rate from a credit union. If you get a line of credit, keep in open but use is sparingly. The available credit — without a balance — will help your available credit. For some individuals with many delinquent accounts and limited ability to improve their credit in a reasonable time period, bankruptcy can be used to get you a new starting point. Bankruptcy can even improve your credit faster than just trying to rehabilitate your credit (but it depends on your specific situation). One of the many reasons bankruptcy is a great tool for managing debt is that it helps improve credit fairly quickly. After filing a Chapter 7, Debtors can usually see offers for new credit soon after filing bankruptcy. After a Chapter 7 discharge, you cannot qualify for a Chapter 7 for another eight years. To many lenders, you may actually appear to be a better risk immediately. The discharge zeros out any past due payments and delinquent accounts. Additionally, your income to debt ratio improves. This also helps your credit utilization rate as well. Bankruptcy does have its limitations. If your goal is to buy a house, there is a required 2 year wait period to purchase a home after a Chapter 7. Two years post discharge, you may qualify for an FHA mortgage, if you have kept improving your credit and your income allows for it. You may need to wait longer for a conventional mortgage. There is no waiting period to qualify for new credit cards or car loan; however, your interest rates may vary depending on many factors. Since you cannot file a Chapter 7 more than once every 8 years, you will not have the available option if something happens during that period, such as job loss or illness. Most important part about improving credit is to keep at it. Your credit will not improve overnight. Being diligent at paying your bills on time, making conscientious decisions about opening new accounts, and understanding your credit report can make all the difference. If you are dealing with debts, make sure you understand all your options. Ashley F. Morgan Law, PC helps many individuals manage their debts every month. Attorney Ashley Morgan has experience dealing with all the above issues. She understands good credit is important, and she wants her clients to completely understand all the tools at their disposal before taking action.